The perceived wisdom is that all consumer facing brands and organisations should have a stable of social media accounts manned 24/7. Instagram to showcase the look and feel of your customer experience. Pinterest maybe, to put your aspirational products in the right aspirational context. Twitter to deal with complaints. Facebook for advertising and to deal with a litany of pointless questions or host, for free, attacks on your company. Oh, and Snap because that’s what the kids are on. A client recently insisted that their organisation needed to be on Twitter. Asked why he replied because other similar organisations Tweet “so we should too”. Let’s not deny that social media has changed the world. It has. And for some it has created an enormous opportunity to speak directly to their target audiences with immense speed. Others however rush into using an array of social channels without a second thought to its impact - positive or otherwise - on the organisations strategic direction or business critical goals. 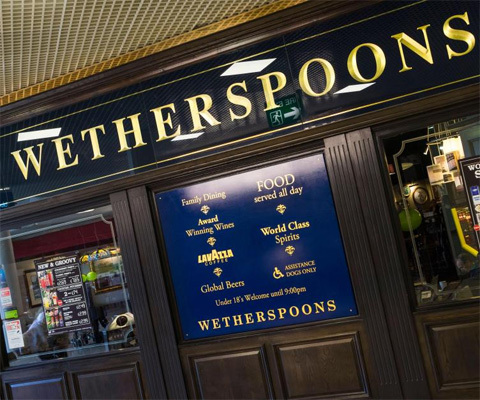 Tim Martin, Weatherspoon’s founder and CEO, has always been a quotable sort able to connect to his customers in a way most chief executives struggle to. He certainly made a stir this week by announcing Weatherspoon‘s was closing its 900 Twitter and Facebook accounts. Hands were thrown in the air at this retreat from the social media battlefield but it makes good business sense. If you want to make a complaint while sat in a Weatherspoon’s pub you will now have to head to the bar and speak to a member of staff rather than broadcast your dissatisfaction to the world. Fundamentally having 900 not very good social media accounts was the perfect way to undermine and dilute their brand values. So, if someone has a pop at them on Twitter they no longer have the capability to respond but it is unlikely that a business as lean as Weatherspoon’s had the capacity to do this rebuttal and customer service job well anyway. They are still part of the digital world: Google will still tell you how to find your nearest branch; the firm still has a website; their app allows customers to order and pay for food and drink without leaving their table. So a decision focussed on connecting with their customers rather than following the crowd which makes Weatherspoons our Communicator of the Week.